There are white males and then there are white males that will impact your breeding program. MacArthur falls into the second category. 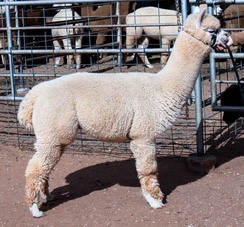 Stunning young full Peruvian male with fleece that will make you oohh and ahhh! 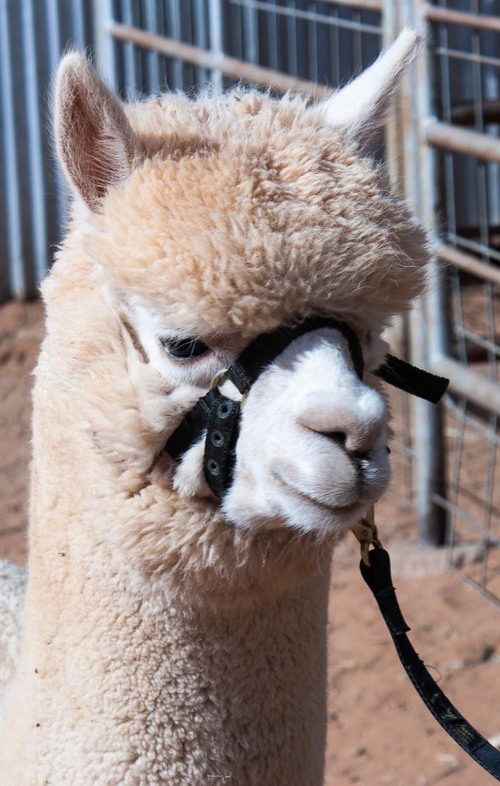 Sired by Travesura’s Altiplano Treasure, MacArthur exhibits his father’s elite fleece characteristics, including great staple length, density, bundling, and brightness. He also shares Treasure’s boxy body style and handsome blocky head. 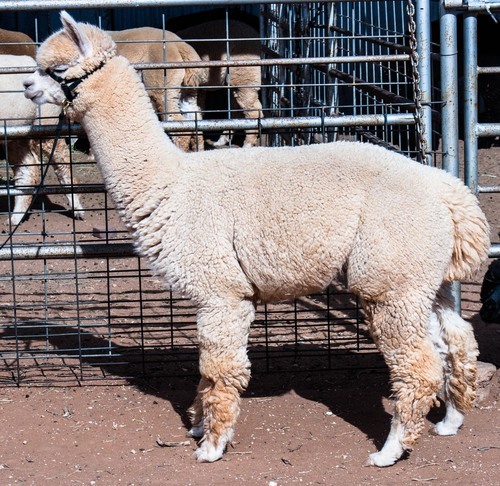 His ARI looks like a who’s who of the industry: 4Peruvian Altiplano Gold, Peruvian Presidio, PPeruvian Caligula, Peruvian Bueno, Dom Lucilio, PPPeruvian Royal Fawn, and Peruvian Fabio. 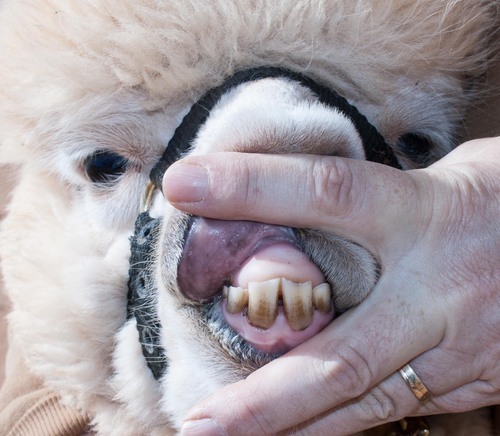 This is a boy that can’t help but improve your breeding program. Add him to your show string, rake in the ribbons, and then let him put beautiful crias in your pasture.